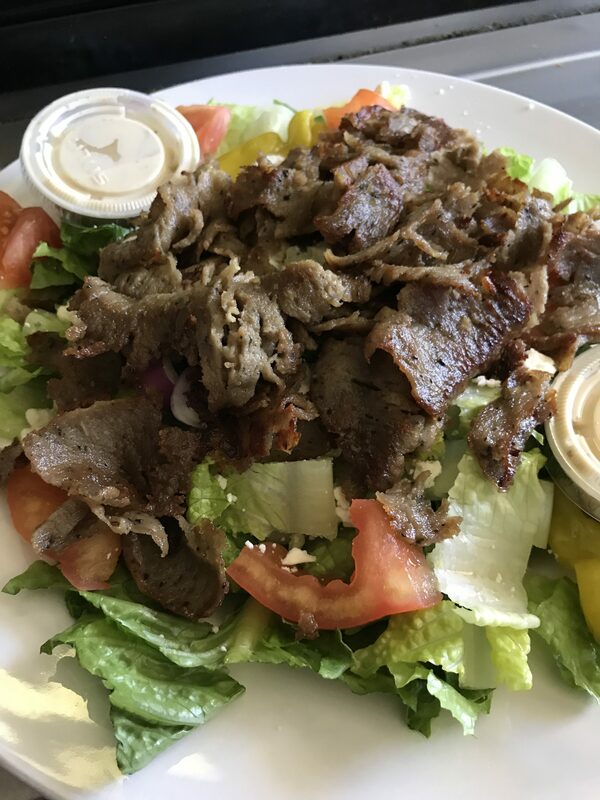 If you like our Gyros but are in the mood for a salad try this! This is our original Greek salad topped with juicy slices of lamb meat. You cant go wrong! Add a pita bread.